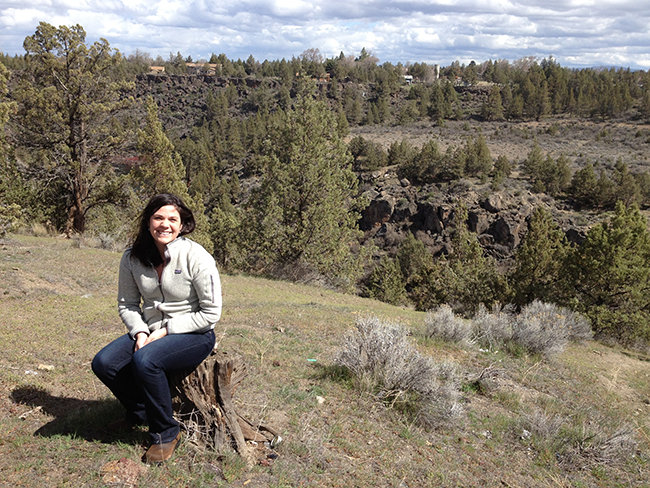 This past weekend SmartPaker Susan and I packed our bags and headed out west to beautiful Redmond, Oregon to participate in SmartPak’s third Clinton Anderson Walkabout Tour as a sponsor for 2013. Since we have never had an opportunity to mix and mingle with our Oregon customers, we built in some extra time to visit some local barns too. 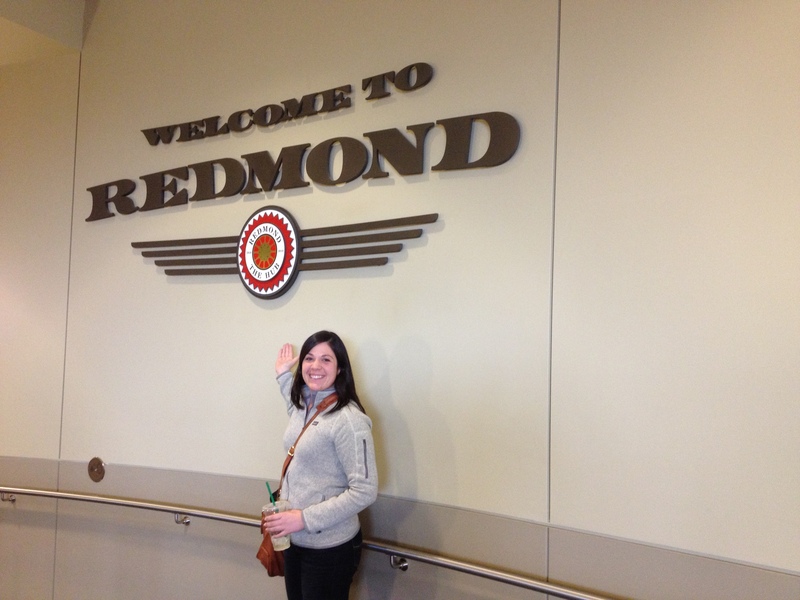 This was a weekend of many firsts, including being my first time at a Clinton Anderson Walkabout Tour. 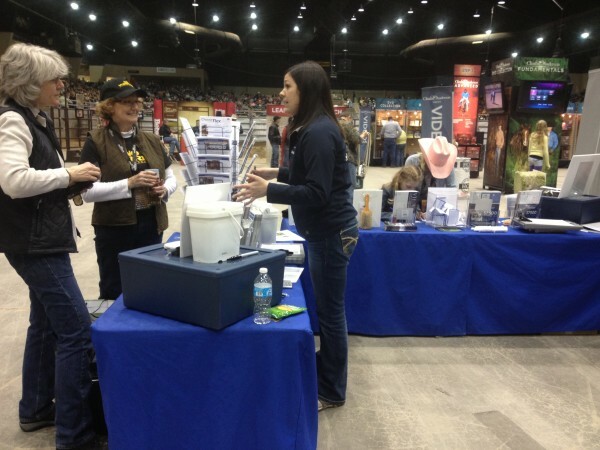 Susan and I visited with the Down Under Horsemanship Team and our customers. Being a student of natural horsemanship myself, I was excited to learn about The Method Clinton Anderson uses to help educate owners on how to be safe and effective with their horses. With a focus on the horse-human relationship and an understanding of horse psychology, Clinton is helping horse owners to live their dreams with their horses. Clinton’s Method can be used by anyone looking to achieve their goals with their horses, no matter the discipline or level. And that makes for an incredible crowd. It was full of horse owners of all ages, with horses of all breeds, who focused on different disciplines – who are joined together by their love of the horse and enthusiasm for Clinton’s experience and training methods. In addition to learning about Clinton’s horsemanship, I had a chance to learn about our customers, their horses and the supplements they feed. Many customers I spoke with are feeding a multi-vitamin to help complete and balance the diet, especially because hay in this part of the country is deficient in selenium. Most horses aren’t getting enough vitamins and minerals from their hay and grain alone, so providing them with a comprehensive vitamin and mineral supplement like one of our SmartVites, helps to ensure your horse has the optimal nutrition he needs to thrive and perform at his best. 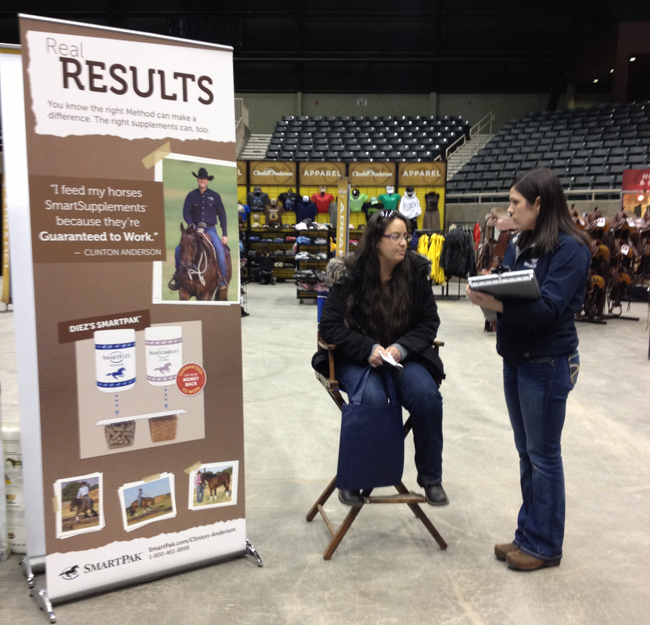 The SmartVite Line consists of eight pelleted formulas based on age, workload and forage which make it easy to tailor your program to your horse’s needs and the Clinton Anderson audience was thrilled to learn of this customized line of multi-vitamins. Next stop is the Walkabout Tour June 22-23 in Kentucky. Check out Clinton Anderson’s website to read more about Clinton and the 2013 Walkabout Tour. This is an informative blog. I have a 28 year old quarter horse rescued from a friend. I am not much of a rider yet but love this big ole guy!! I will look into the SmartPak pellet regime more closely. Mr. Murphy – I’m so glad that you found Kristen’s blog helpful and informative! If you ever have any questions about how supplements can help you support your big ole guy’s health and wellbeing, please don’t hesitate to call 888-752-5171 or email CustomerCare@SmartPak.com. We’ve got a team of supplement experts like Kristen who are always happy to help!